Gas leak detection spray. Immediately ready for use. 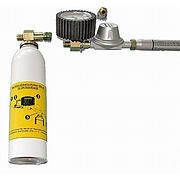 Will locate the smallest leak in gas or pressurised air vessels, pipes, scewed connections, fittings and valves, quickly, reliably and conveniently. 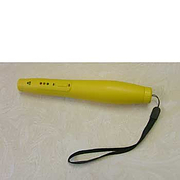 Omnitron Gas detectordetects minute traces of combustible gases in and around gas pipes,fires,boilers and cookers. Range - 0-10,000ppm. 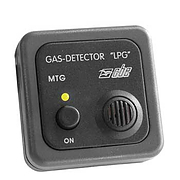 Detects LNG , LPG , Butane, methane, Isobutene gas. Batteries included. size: 180mm x 30mm. Gok leak test equipment Leak Test Equipment with 600cm³ volumiser and 750mm connection hose (boxed). Gas Detection equipment, suitable for boats, caravans, mobile homes and for light commercial use.